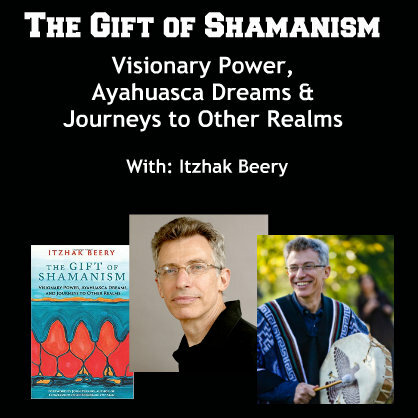 Itzhak Beery, the author of The Gift of Shamanism,bridges the indigenous shamanic traditions his teachers entrusted in him with a contemporary shamanic approach relevant to our modern life. Born in Israel he is a New York-based practitioner who conducts shamanic healing ceremonies, and teaches seminars internationally and co-lead trips to Ecuador and Brazil's Amazon. Itzhak apprenticed intensively and initiated by don Jose Joaquin Diaz Pineda an Ecuadorian Quechua Yachak from Iluman, into his family tradition and into the Sacred 24 Yachaks Circle of Imbabura. He was also was initiated by Shoré a North Amazonian Pagé in Brazil. He studied with and assisted Ipupiara Makunaiman a Brazilian Amazonian Pagé from the Uru-eu-wau-wau tribe for 12 years until his passing and with his wife Cliecha, Peruvian Curandera and also with other indigenous and contemporary elders and shamans from around the world. Itzhak's work has been featured in a variety of worldwide publications including the NY Times, radio and video interviews and he is often invited to speak on panel discussions, press conferences and festivals and to host and participate in Shamanic Webinars. He was featured in the feature film "The Hindenburg Omen" and Parashakti's "Dance of Liberation" documentary. He is also the featured shaman in the upcoming TV show "Soul Search."